23, Gujarat Society, Opp Red Cross Blood Bank, Nr. Suvidha shopping complex, Paldi, Ahmedabad, India 380007. WE ARE BACK WITH A BANG!! Here’s the registration forms link! Also, if you are more of a spectator than a performer, come on in and cheer up our performers! They will DEFINITELY appreciate a good audience!! 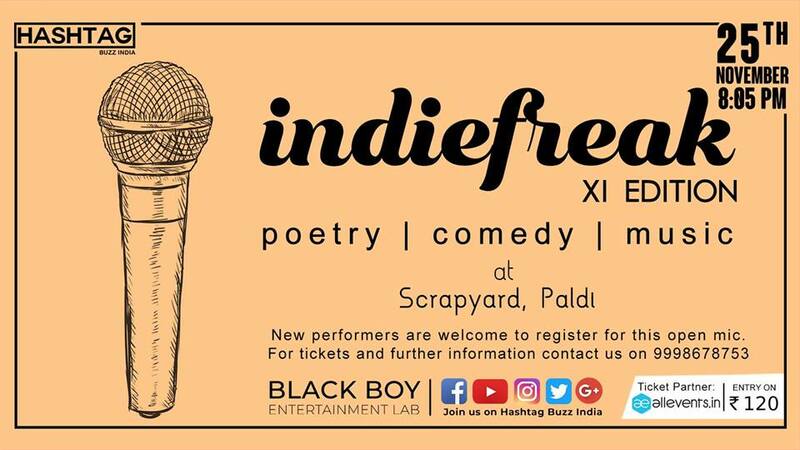 What is IndieFreak Open Mic? It’s an event where people from a different genre of comedy, music or poetry come together and perform their written or composed set with Like minded people as their audience.